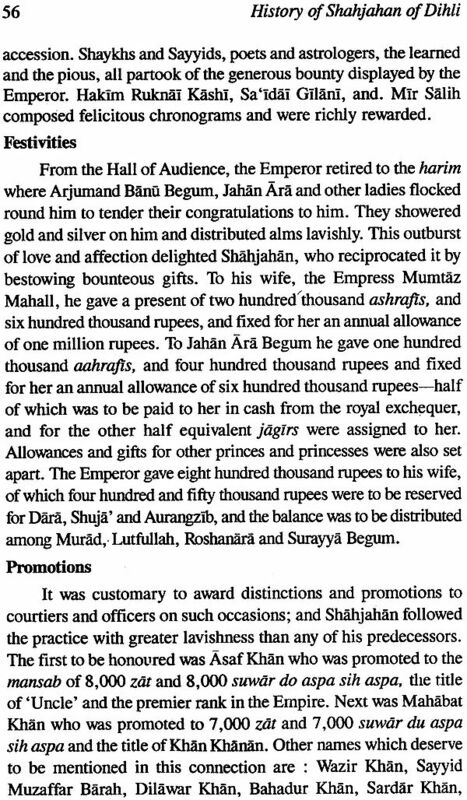 In his introduction to this work Dr. Saksena rightly describes the reign of Shahjahan as an epoch in Itself. 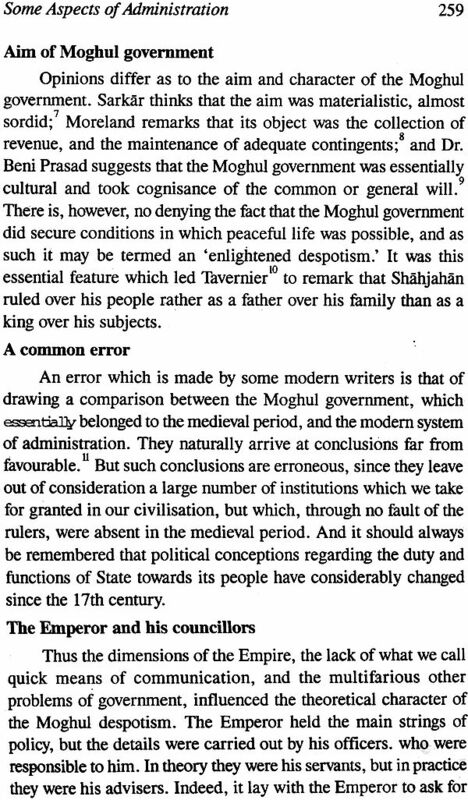 It was in this reign that the power and wealth of the Moghul Empire, as it is miscalled, and the splendour of its court reached their zenith and the reign is styled by the author 'the most glorious epoch in the medieval period," though he justly observes that even in this long and splendid reign signs of decline are noticeable. The dominions of the House of Timur had not yet reached their extreme limit, for Shahjahan's successor added two kingdoms to them, but the result of this expansion of the territory directly subject to the Imperial crown proves the superior wisdom of Shahjahan in contenting himself with the submission of these vassal kingdoms and refraining from annexation. 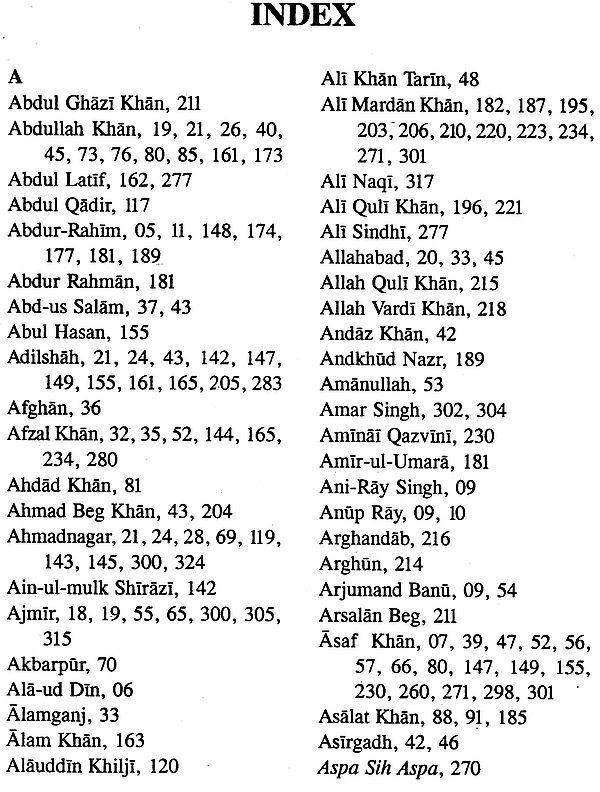 Though by blood more than half Hindu, he was a better Muslim than either his father or his grandfather, and abolished practices instituted or sanctioned by them which were opposed to the sacred law of Islam. He never tasted wine until he was twenty-four years old, and then only at the instigation of his father, and he was never a slave to what may be regarded as the curse of his house. 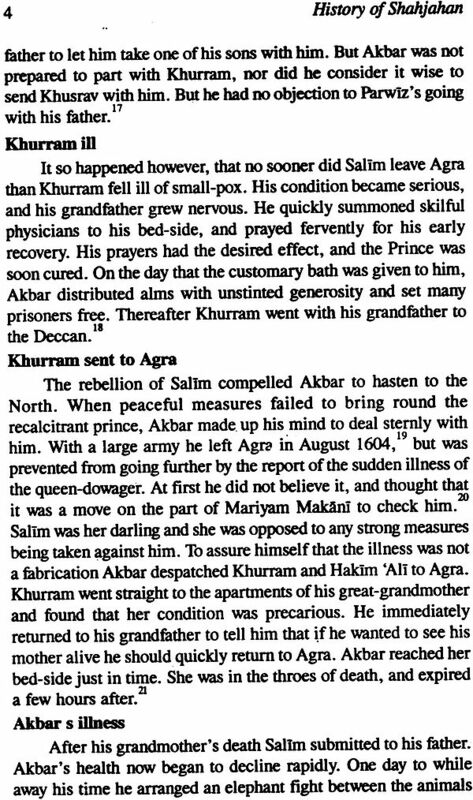 Two of his uncles and one of his brothers had died from the abuse of strong drink, and it was only his father's naturally robust constitution which enabled him to withstand for so long the natural results of his habitual excess, but Shahjahan, though he sometimes broke the law of his faith, did not abuse the good gifts of God. Against the sensuality of his later life, exaggerated by European travellers, must be set his devotion to the beloved wife who was the mother of twelve of his fourteen children, his grief for her death, and his desolation when she was no more. These have their memorial in the crowning beauty of Agra.' The palace at Delhi and many other buildings do credit to Shahjahan's taste in architecture, but the Taj, a monument of love, is unsurpassed in the world. It is strange that the reign of such a monarch should not hitherto have attracted the special attention of any historian writing in English. 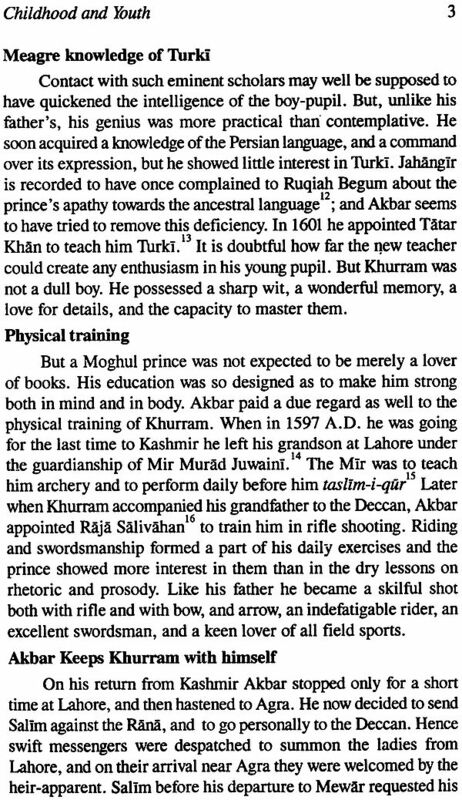 Babur and his son have been commemorated by the late Mrs. Beveridge, of those who have devoted themselves both in history and fiction, to the memory of Akbar, that prince of dreamers, space forbids a list, Jahangir has not been neglected, and Aurangztb has been exhaustively treated by that fine historian. Sir Jadunath Sarkar, but Shahjahan has not yet been systematically studied, and the notices of his reign in general histories hitherto published leave much to be desired. This thesis,' says its author, 'is an attempt to fill the blank . .' I may add that it is a highly successful attempt. Dr. Saksena treats his subject with praiseworthy impartiality. 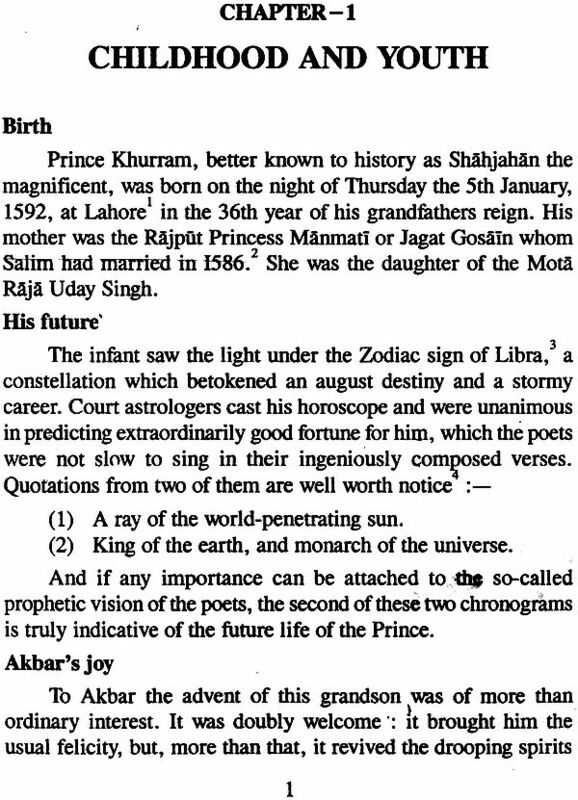 Shahjahan, in his hands, is not 'the virtuous sovereign with hardly a blemish on his character 'depicted by contemporary Indian chroniclers, nor on the other hand, is he the monster of moral depravity described by some European travellers who have 'flavoured their pages with the scandalous gossip of the purliens of the court. 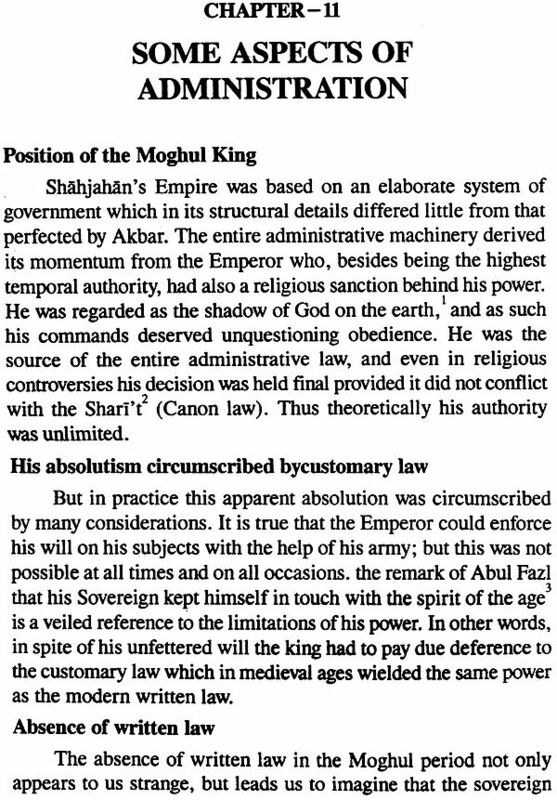 To write the history of Shahjahan's reign within the compass of a thesis of a limited volume, meant doing injustice to some of the important topics connected therewith. And I must confess that the chapters on the cultural and administrative institutions could have been more comprehensive; but the exigencies of examination compelled me to reduce them to their present size, notwithstanding the fact that there was no paucity of material on these subjects. 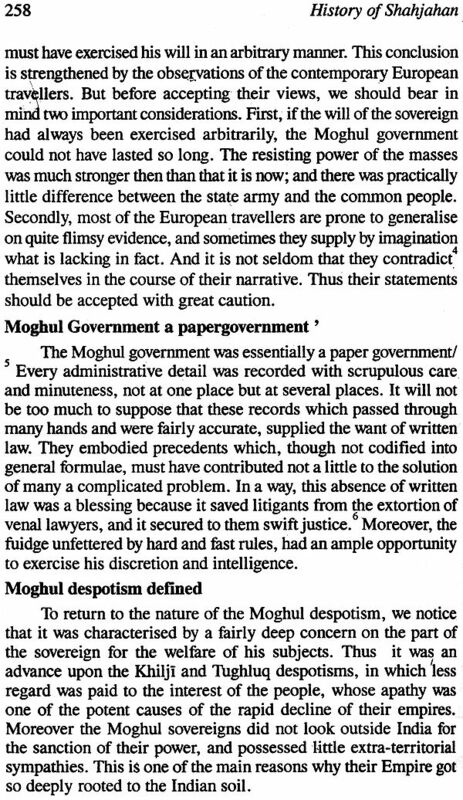 I therefore owe a word of apology to the public in general, and to the scholars of the Moghul India in particular, for this drawback in my work, which I hope to rectify in a subsequent edition. My grateful acknowledgments are due to Lt. Colonel Sir Wolseley Haig without whose guidance I could not have finished this work as smoothly as I could. Let me not omit to mention in this connection the name of Sir E. Denison Ross whose useful suggestions were a welcome addition to my knowledge. I am also greatly indebted to M. Grugeon, Esq. of the Kings College, London for the trouble he took in revising the manuscript of my thesis. 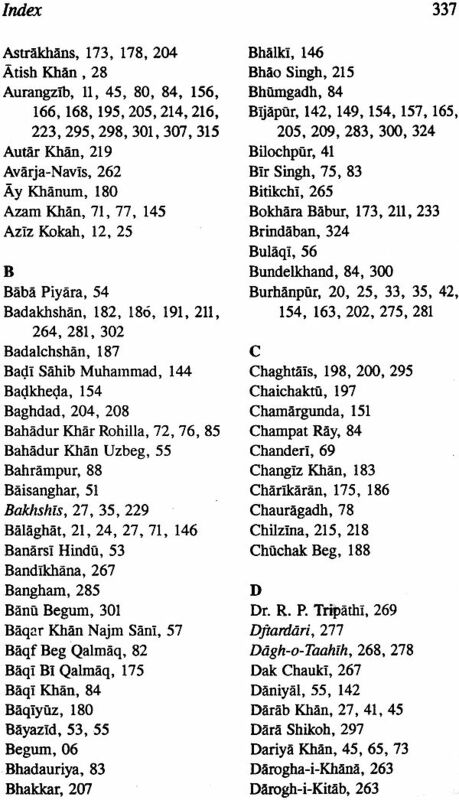 In the end, let me acknowledge with thanks the assistance I received from my pupils Messrs Bhawani Prasad and Shambhu Saran Lal, Hafiz Ahmad Ali Khan, the Librarian of the State Library, Rampur, Miss Murray Browne, the Deputy-Librarian at the School of Oriental Studies, London and Mr. Sarju Prasad, the Deputy-Librarian of the Allahabad University Library. At a time when the study of epochs rather than of personalities is engaging the attention of serious students of history, it seems a little out of place to devote one's energy to the elucidation of the reign of one individual monarch only. But it is different with the reign of Shahjahan. 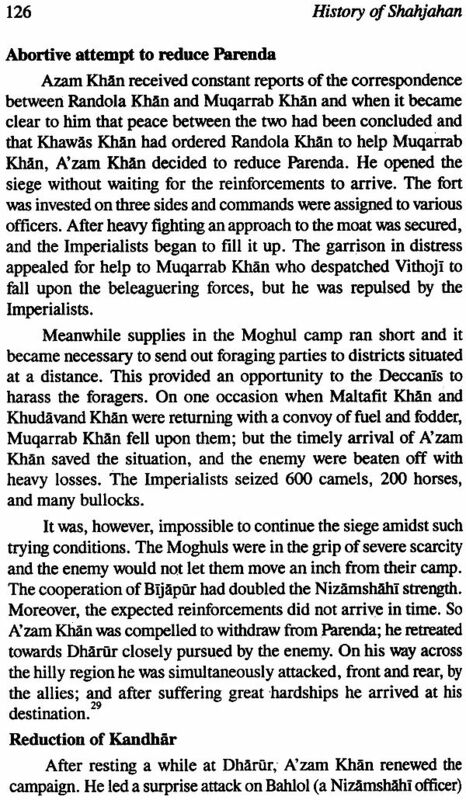 In the first place, his reign like that of his grandfather Akbar is an epoch by itself; and secondly, it has not, so far, been exhaustively dealt with. Thus the aim of this thesis is to fill a gap in the history of the Chaghtai dynasty. The period covered by it extends from 1592 to 1657. 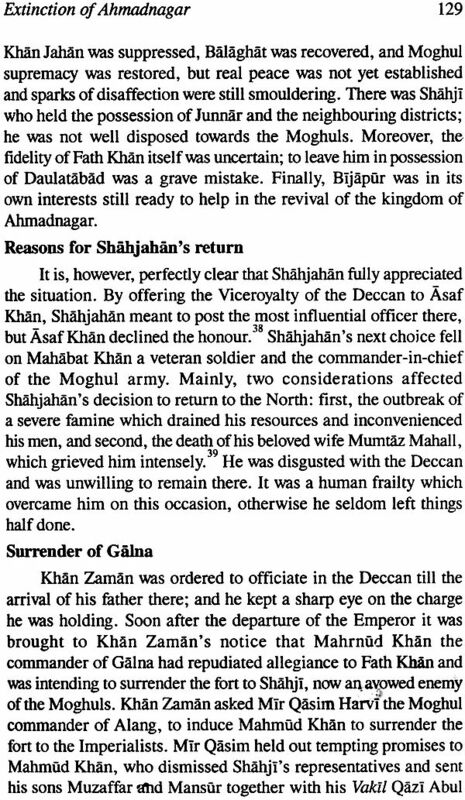 The War of Succession, which followed the serious illness of Shahjahan, is outside the scope of the present work, because it has been very graphically described by Sir Jadu Nath Sarkar in his stupendous work on Aurangzlb; and the last years of Shahjahan's life have similarly been excluded for the same reason. The repetition of well-known facts has so far as possible been avoided; but where for the sake of the continuity of the narrative it seemed essential to refer to them, this has been done with great brevity. (3) Accounts of European. travellers. 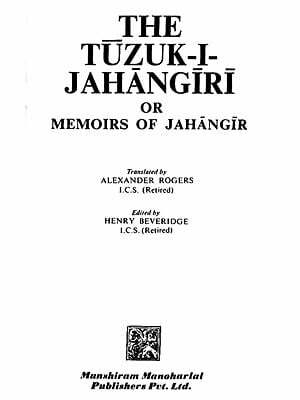 Tuzuk-i-Jahanglri: But more interesting than the Akbar- nama and more relevant to our subject of study is the Tuzuk-i Jahangtrt or Memoirs of Jahangir. They form as valuable an asset to literature as to history. 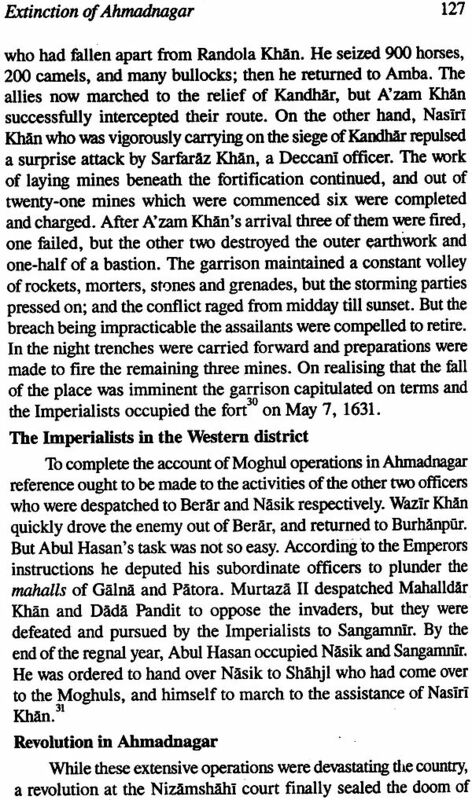 Jahangir wrote them himself almost up to the end of the seventeenth year of his reign; the accoum of' the-l-Sth and 19th years is recorded by Mu'tamid Khan, because of the growing weakness of the Emperor. 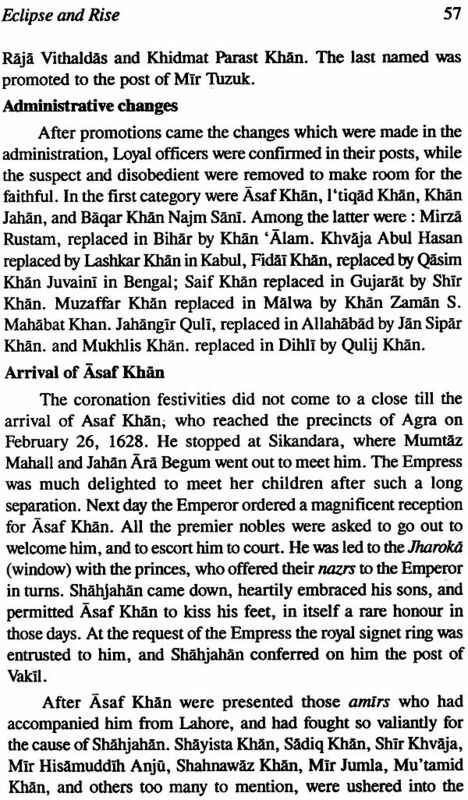 In the Memoirs we get a connected account of Shahjahan's rise during the reign of his father. 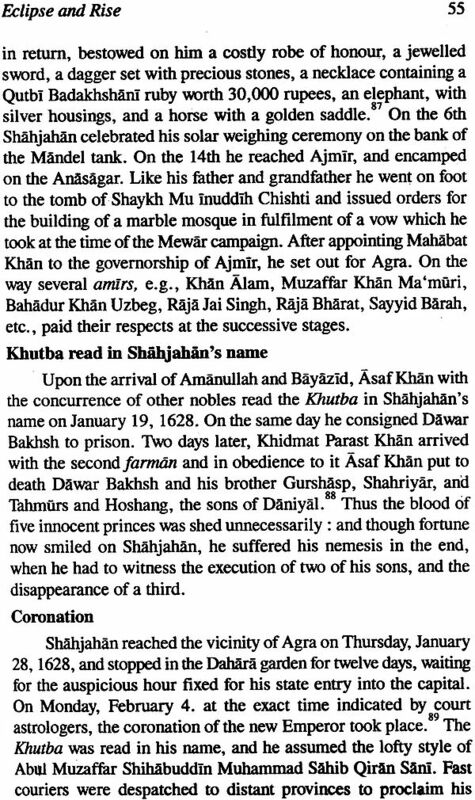 But when the prince rebelled, Jahanglr's attitude changed towards him; and instead of his sonorous titles, Shahjahan is referred to by his father as Bi-daulat. 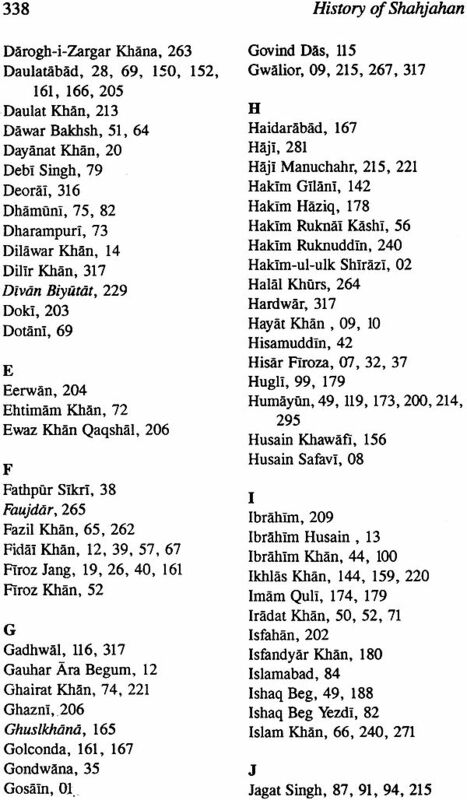 Makhzan-i-Afaghina: The author of this work Ni'matullah was for thirty years in the Khalsa department during the reign of Akbar, and for eleven years occupied the post of Waqi 'ah- navis under Jahanglr. 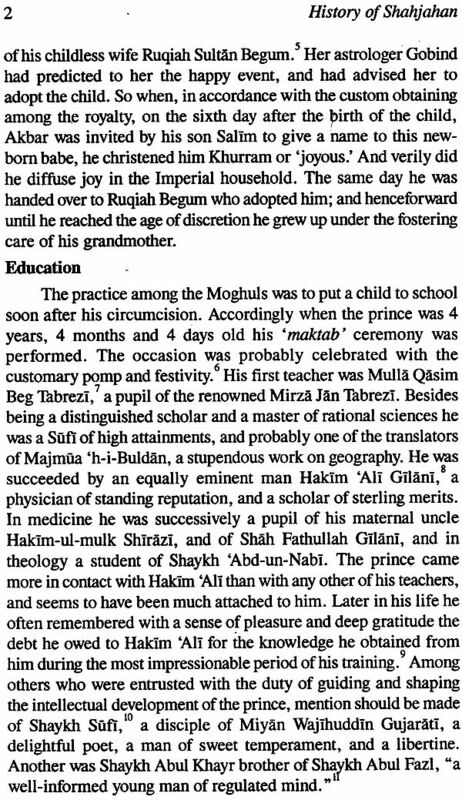 Further he says that in 1595 he was serving as librarian to the Khan Khanan. 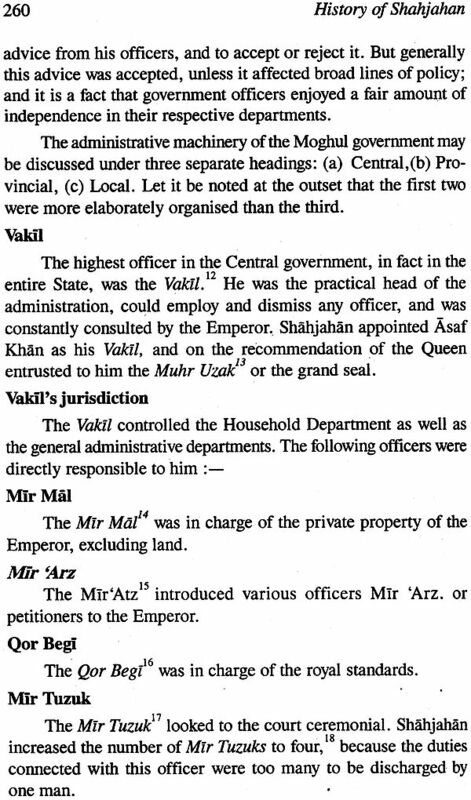 He was dismissed from the government service in 1608, after which he was patronised by Khan Jahan Lodhi. He began to write his work on February 13, 1612, at Malkapur in Berar, and he frankly admits that his object was to record the praise of his patron. 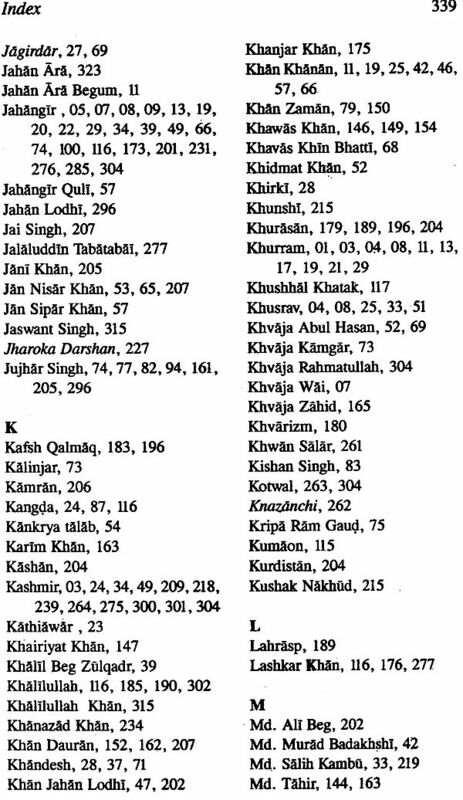 He has devoted the first four chapters to the history of the Lodhl and Suri dynasties, and in the fifth chapter he gives an account of the ancestors of Khan Jahan. 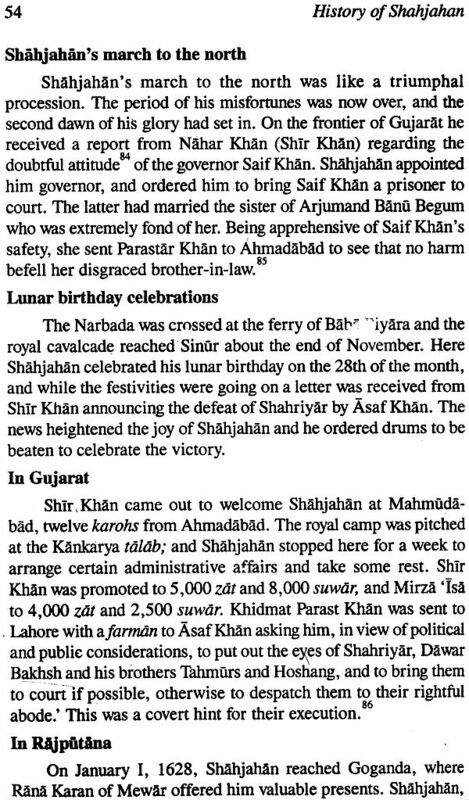 The last event mentioned is Khan Jahan's retirement to Elichpur in May 1612.